It’s hard to believe that a movie based on a book’s appendices could be sooooo good! But then again the book is The Lord of the Rings and the author is J.R.R. Tolkien! That helps. This fan-made film fills in the story of why Gandalf was so cranky and in such a hurry to get Frodo and the ring out of the Shire. Knowing that Gollum was out of his cave (and his mind?!) recklessly looking for the ring, Gandalf sends Aragorn on a hunt. Well if you watch the movie (or have read the appendices as well you should!) 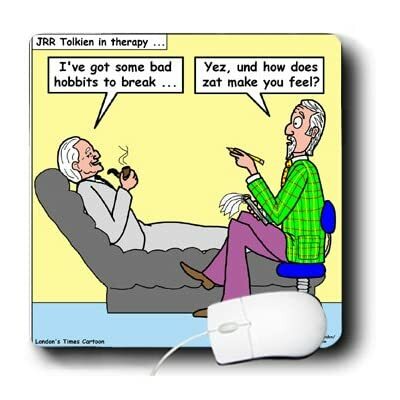 then you’d know that “Baggins” is in trouble and Mordor is coming to town, Shire-town. Not good news! Anyway, this is a highly enjoyable 40 minute cinematic adaptation of part of one my favorite stories. I hope you enjoy it too! If I still used a mouse, I just might be tempted to get this. It’s been a while since I posted anything even slightly Tolkien-ish. So thanks to my buddy Bob here’s something that’s simply remarkable–Beowulf retold by a modern-day bard, Benjamin Bagby, in Old English. Today, I got my (early) birthday present…The Children of Hurin. Ever since J.R.R. 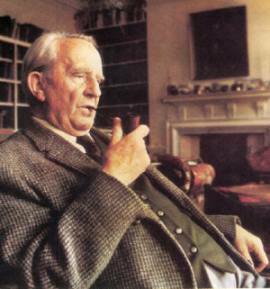 Tolkien’s death in 1973, his son, Christopher, has done a remarkable job editing and publishing his father’s unfinished (or better said, unpublished) writings. 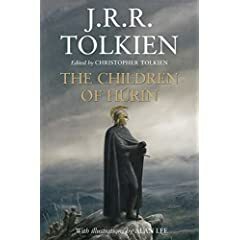 The earliest versions of The Children of Hurin go back about 90 years, to the end of WWI, when Tolkien began writing his most beloved epic, much of which was published posthumously as The Silmarillion. 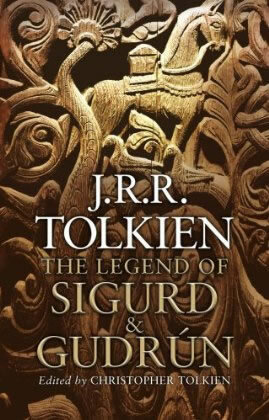 Although a portion of the tale was told in The Silmarillion, this new book is the most complete, readable version. I can’t wait to dig into this story, and the timing couldn’t be any better because I’m currently reading John Garth’s biography, Tolkien and the Great War.